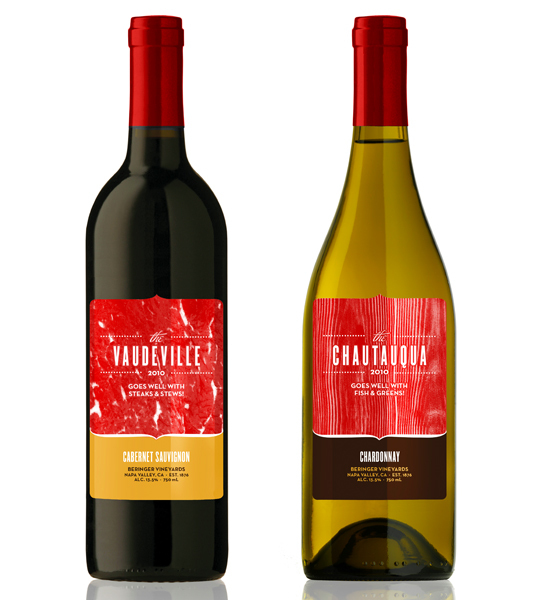 Hmm, I don’t think I find a slab of beef as a very appetizing background for a wine label. While I like the actual design and typography I find the choice of the background to be rather odd. It seems like the designer wants to educate the viewer on what goes well with red and white wines which is commendable but I feel not very important since almost any wine drinker already knows the basics. 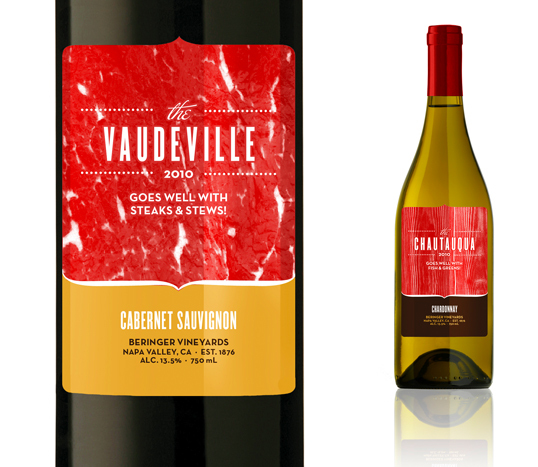 To use the beef slab as the main visual puts too much importance on what goes with the wine instead of the wine itself. 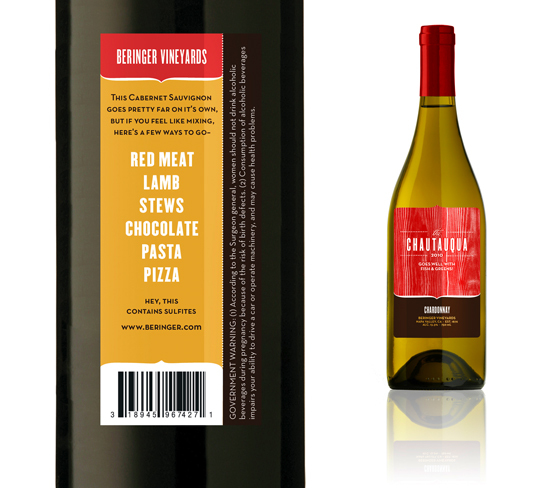 Being a part of this design’s demographic, I don’t know what goes well with wines so I appreciate the info about food pairings. Remember, this is targeted towards 21 to 30 year olds. Also, that age group isn’t too concerned with the wine itself, since they will most likely just be buying the cheapest kind.